Finally, off the needles! I can’t believe that I started these in October and just managed to finish the second sock today! Why did it take so long to complete? I have no idea! I guess I got distracted with Holiday Gift Knitting and, by New Year’s, these were totally on the back burner. 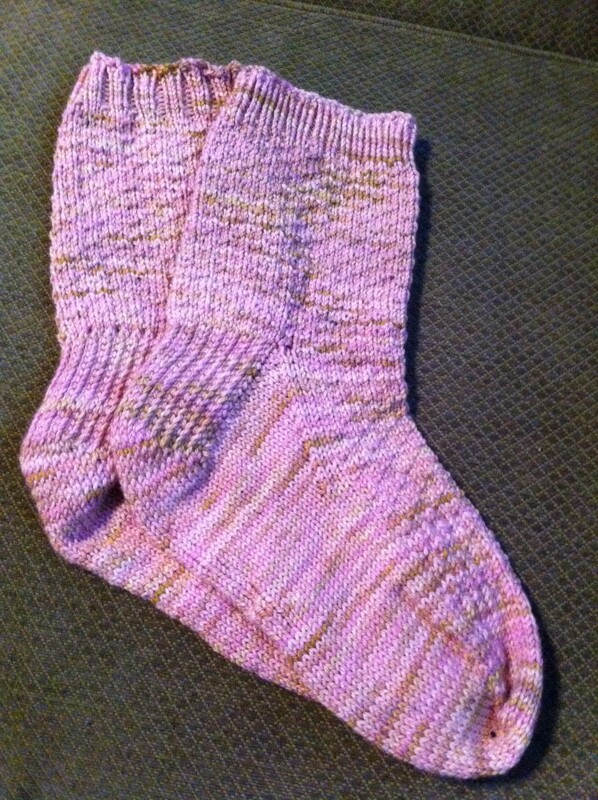 But I’m looking forward to knitting more socks so today I sat down and finished my Hermione Everyday Socks! 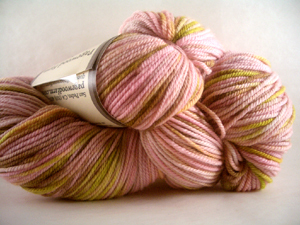 I love the yarn…Pagewood Farm Alyeska Hand Dyed Sock Yarn in Cherry Blossom. I found it at Eat Sleep Knit, one of my favorite online yarn stores. Yes, they’re located in Smyrna, GA which is probably not too far away from here but the shipping and handling costs are less than the gas I would use! Plus, it’s so much fun to get yarn in the mail! While I really enjoyed knitting my Hermione Everyday Socks, as soon as the second one was off the needles, I noticed one little problem…can you spot it? The ribbing! K1P1 on the first sock and K2P2 on the second! Ay yi yi! Good thing they are my socks!